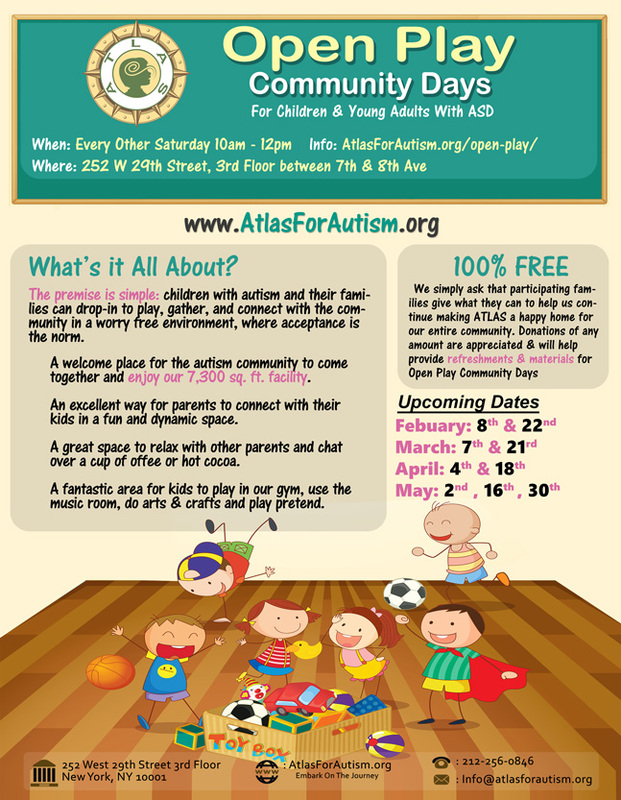 Twice a month, Atlas Foundation For Autism, will host "Open Play" for children with autism and their families. Two Saturdays a month, from 10am to Noon, Atlas will open its doors and welcome members of the autism community and their families and encourage them to make use of the 7300 square foot Atlas facility, at no charge to families. Children can play in the sensory gym or in one of the four sensory friendly classrooms and accompanying adults can enjoy the freedom of being in a worry free zone. So if you're looking for a Saturday plan, drop in and join us in an accepting environment where you and your children can surround yourself with community. 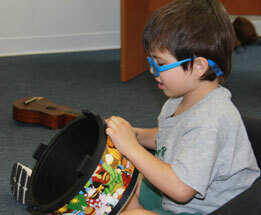 The latest CDC records indicate that 1-68 children are the autism spectrum. In a city like New York, these numbers should equate to spotting families with children on the spectrum everywhere, making use of our parks, restaurants and all that New York has to offer. Despite the high numbers, families with autism are seldom out and about and participating in the community. The reasons are varied but in a nutshell: it feels easier to stay in isolation. Not having to explain…not having to deal with ignorance from an unknowing public…not having to navigate our way through an outburst based on an unforeseen trigger…these factors and many more keep us tucked away and in isolation. We stay in isolation and we wait for the yearly invite to “Autism Day at Yankee Stadium” or we wait for an email alerting us to a sensory friendly showing on Broadway. We applaud these measures to include our community in mainstream events. We relish these opportunities for our community to be together. We are a community with strong numbers and there are enough of us that we should have the feeling of community and connection not once a season, but 365 days a year. Atlas Foundation for Autism will begin to foster and create this sense of continuing community by opening its doors twice a month for “open play.” Two Saturdays a month, from 10am to Noon, Atlas will welcome members of the autism community and their families and encourage us to come together, build community, and enjoy the 7300 square foot Atlas facility, at no charge to families. The premise is simple: children with autism and their families can drop-in to play, gather, and connect with community in a worry free environment, where acceptance is the norm. A beautiful song about children with autism written by Amanda Friedman and performed by Crucial Bridge. Shop on Amazon.Com & have .05% of your total purchase be donated to Atlas by amazon. Simply select Atlas Foundation For Autism Inc as the charitable organization you would like to support.